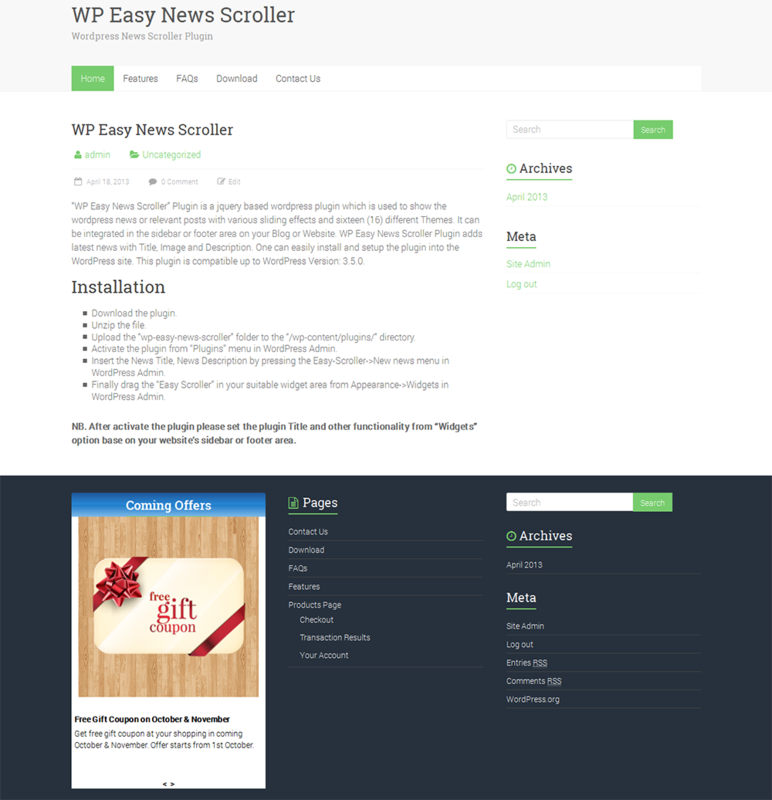 “WP Easy News Scroller” Plugin is a jquery based wordpress plugin which is used to show the wordpress news or relevant posts with various sliding effects and sixteen (16) different Themes. 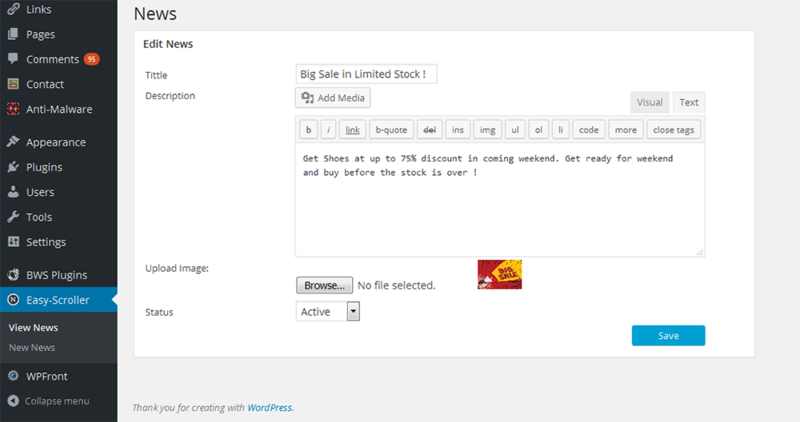 “WP Easy News Scroller” can be integrated in the sidebar or footer area on your Blog or Website. 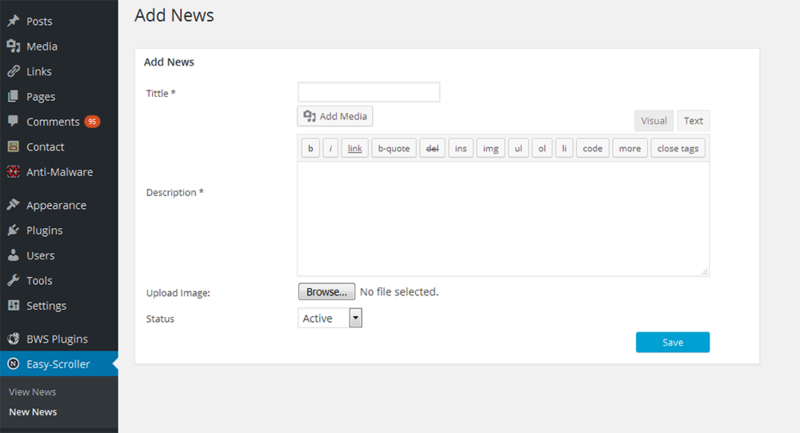 WP Easy News Scroller Plugin adds latest news with Title, Image and Description. 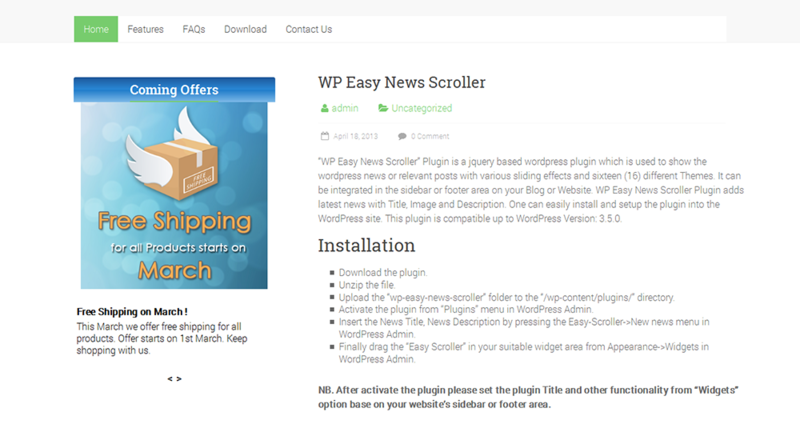 “WP Easy News Scroller” plugin has excellent features and very easy to install or setup. 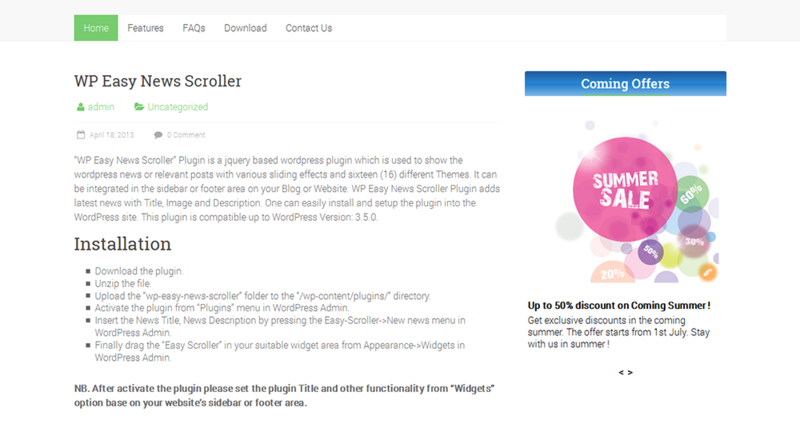 “WP Easy News Scroller” plugin is more flexible and compatible with many existing plugins in the WP repository. This Plugin is fully customizable. Users can easily configure the plugin into the new or existing WordPress sites. Unlimited news or events can be shown at the frontend. This plugin is suitable for sidebar or footer area. Admin can change title position to center, left and right. Title color, news title color, news description color and background color can be change. It has twenty six (26) types of Slider Effect like Scroll Up, Scroll Down, Scroll Left, Scroll Right, Fade, Shuffle, curtain, Zoom etc. This plugin has twenty-three (23) different Themes like Gray, Gray Black, White, Solid Pink, Gradient Pink, Solid Black, Gradient Black, Solid Red, Gradient Red, Light Black, Orange, Solid Blue, Gradient Blue, Sky Blue, Solid Green Gradient Green etc. 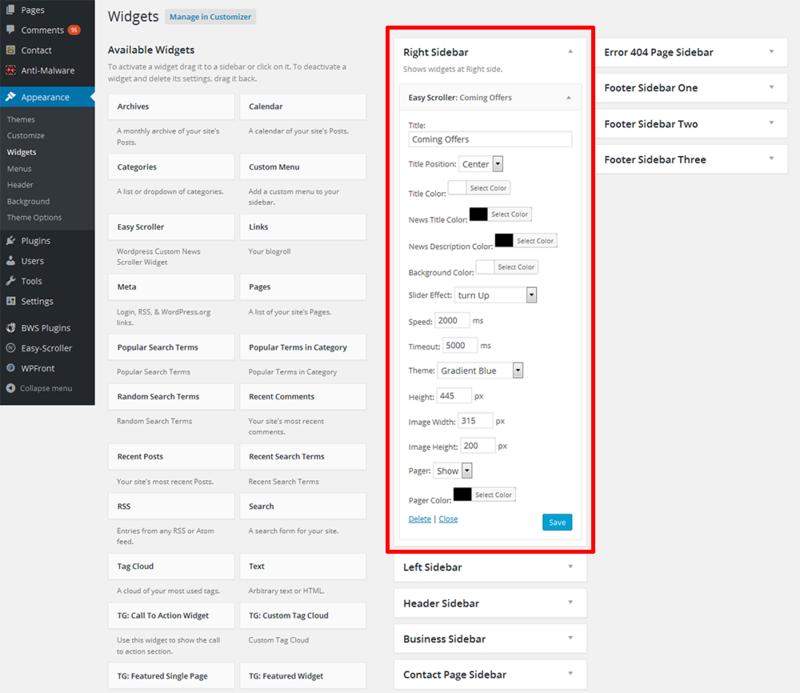 Plugin Height can be set from admin. Image Width and Height can be easily customized. Pagination or Pager can show or hide and pager color can be set. Admin can add News Title, Description and Image. News description has HTML and Visual editor.